US envoy Sung Kim met Duterte's chief aide on Thursday to discuss the US "Worldwide Threat Assessment" released last week, the two nations said. 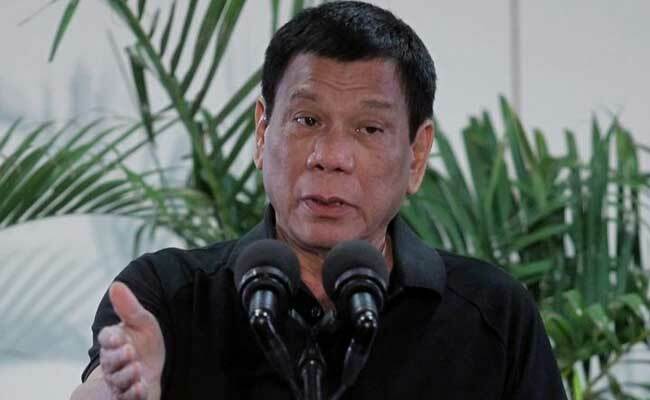 Manila, Philippines: The Philippine government summoned the US ambassador over an American intelligence report that listed President Rodrigo Duterte and his deadly war on drugs as a "regional threat", Manila said Friday. Under a section headed "regional threats", the report listed Cambodian leader Hun Sen's crackdown on dissent, Duterte's war on crime and corruption as well as the flight of the Rohingya minority from Myanmar to Bangladesh. Duterte's spokesman Harry Roque said in a statement that Executive Secretary Salvador Medialdea summoned Kim over the report, which has drawn sharp criticism from the president's camp. "Duterte is no autocrat or has autocratic tendencies. He adheres to the rule of law and remains loyal to the constitution," Roque said this week in response to the report. Duterte was elected in 2016 in part on a vow to kill tens of thousands of criminals in a bid to rid the country of narcotics. The International Criminal Court this month launched a preliminary examination into allegations of thousands of extrajudicial killings committed during the president's narcotics crackdown. A US embassy statement said its ambassador met Medialdea to explain the nature of the Office of the Director of National Intelligence report, which the statement said was "based on widely available information". "Their discussion focused on the references to the Philippines in the report, including clarifying that the information about the Philippines had been previously reported by media sources," the embassy said. "The United States will continue to collaborate with the government of the Philippines," it added. Ties between Washington and its former colony had suffered under previous US president Barack Obama following his criticism of Manila's drug war, with the fiery Duterte calling him a "son of a whore". The two governments say relations have improved since the election in 2016 of US leader Donald Trump.